From humble beginnings driven by Italian flair, a love of elegance and an entrepreneurial spirit, Brioni has become one of the most prestigious luxury brands in men’s fashion. Today, Brioni is still largely run by the descendants of the original Italian tailors who started the company back in 1945, with the help of a growing network of managers, salespeople and support staff. With its reputation for handcrafted excellence, unique styling and unparalleled client service, Brioni has established itself as one of the world’s leading purveyors of quality men’s clothing. When you think of Europe straight after World War II, sartorial style may not be the first thing that comes to mind. Nonetheless, the return of men from the war and the promise of a new, peaceful future actually provided fertile conditions for a developing fashion house. 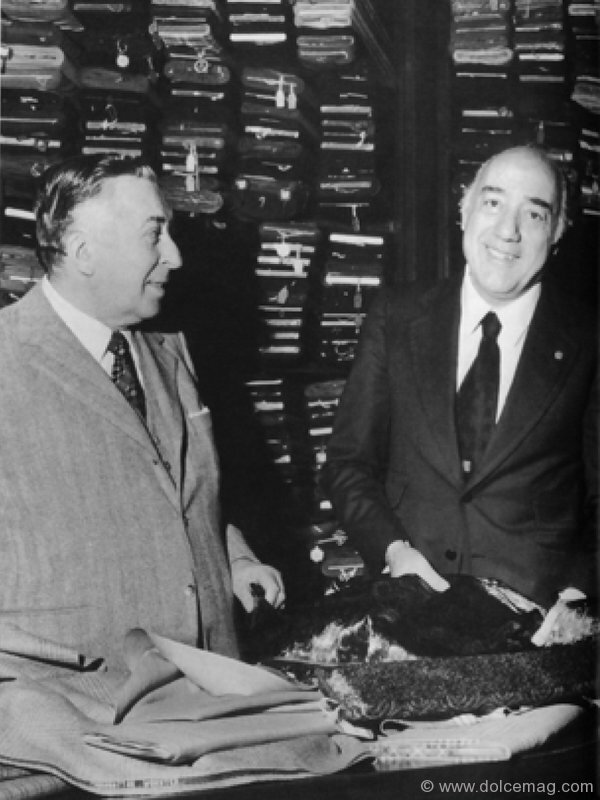 It was in these circumstances, from a small building on Via Barberini in downtown Rome, near the famous Fontana del Tritone, that Brioni tailoring was established. Nazareno Fonticoli, a master tailor from the town of Penne, provided the design genius, while his partner, Gaetano Savini, had the business savvy the company needed to grow. And grow it did. Back in the 1950s, Brioni was largely responsible for the ‘Continental look’ that took North America by storm. 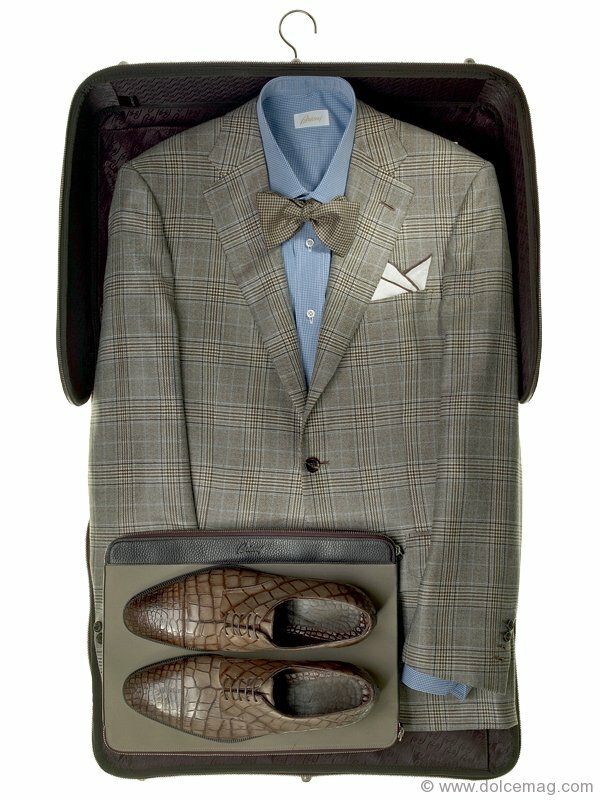 Savini and Fonticoli challenged what a suit should look like. Pitched shoulders, a tapered waist and narrow trousers suited the contemporary, post-war man, and Brioni suits had a distinctively European silhouette that Americans found very appealing. For a region like North America, which was still quite conservative at the time, especially in terms of fashion, this new ‘look’ was liberating and represented the new prosperity of the age. The one-of-a-kind, cutting-edge designs quickly caught the attention of the American market, notably in Hollywood. Silver screen stars such as Clarke Gable, John Wayne and Kirk Douglas were soon seen strutting their stuff in Brioni suits, and it didn’t take long for this to translate to wider success. Even now, Brioni can be seen on any number of prominent figures, from Donald Trump and Pierce Brosnan to a variety of world leaders. When The New York Observer owner Jared Kushner married Ivanka Trump last year, he was suited up in Brioni. Fast forward to the 1980s, when Fonticoli established the Brioni Academy, a four-year school where promising young tailors could learn every aspect of suit-making from the best in the business. Brioni’s first American store was opened in New York City in 1982, and nowadays you can find Brioni stores in all of the world’s renowned fashion capitals, as well as some of the newer ones, such as Beijing, Tokyo and Mumbai. While the U.S. remains the leading market for Brioni, followed by Italy and the expanding market of Russia, the company is expanding rapidly into the developing Middle East and Far East markets. It has been careful not to sacrifice even the tiniest amount of quality, despite the temptations of cheaper labour and production methods. 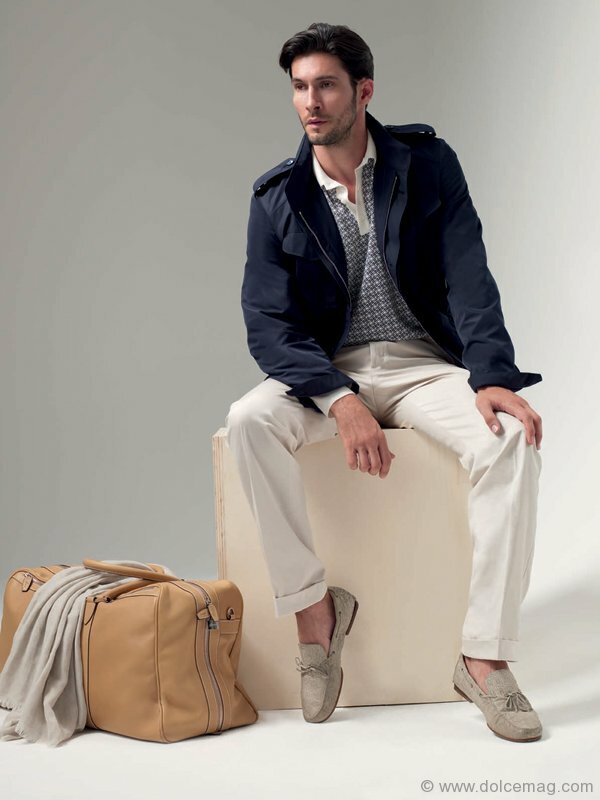 The company is still based out of its Via Barberini headquarters and remains, essentially, a family business. It is led by three CEOs, including Andrea Perrone, the nephew of Gaetano Savini, and Antonella De Simone, the granddaughter of Nazareno Fonticoli, and is still owned primarily by descendents of the founding families. The family company is now in its third generation of management, and is likely to carry on to the fourth. ‘form-fitting.’ Germans, on the other hand, like to have a deep pocket in their jackets for those long European wallets. While the company has made an important point of sticking to what they do best – men’s suits – they have extended their offerings to a certain degree. Leisurewear now accounts for almost one-third of Brioni’s turnover and women’s clothing makes up a little under 10 per cent of the business. These are both areas in which the company wishes to expand, without making sacrifices in their core competence. 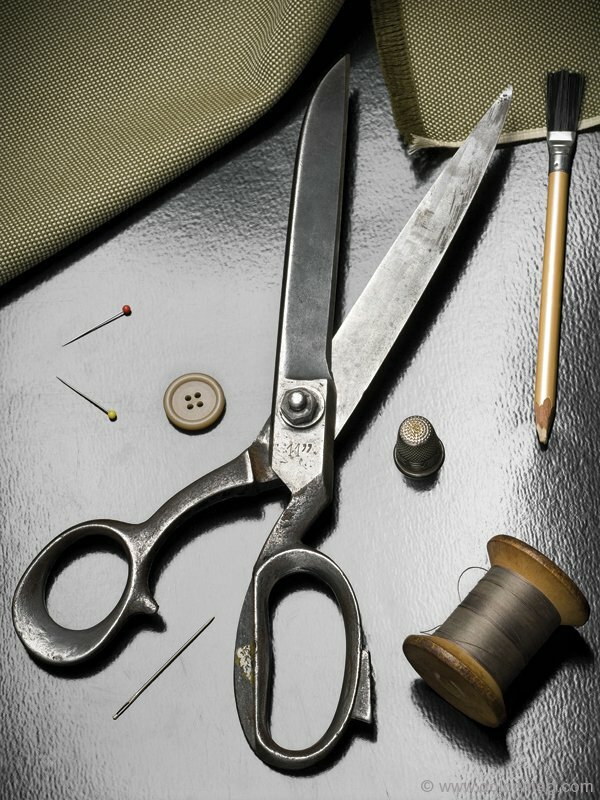 Like any company that wishes to stay competitive, Brioni has developed and moved with the times. However, one of the reasons for its success is that it has never been compromised. It has never reduced its quality in order to seek out new customers or mindlessly followed other trends. 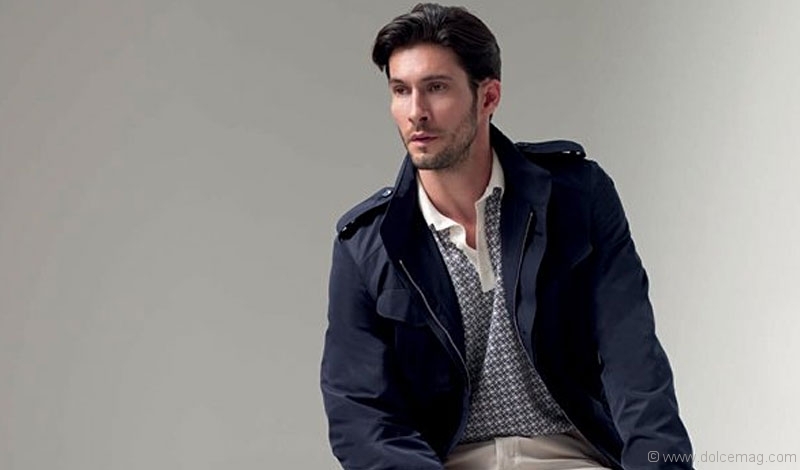 Brioni has set the trends and has stayed true to its roots by continuing to focus on the quality and service that made it one of the world’s leading fashion houses.